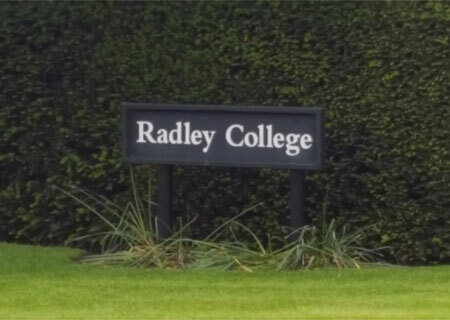 Has your son or daughter got a place at University? How are you going to get all their belongings to their student accommodation? 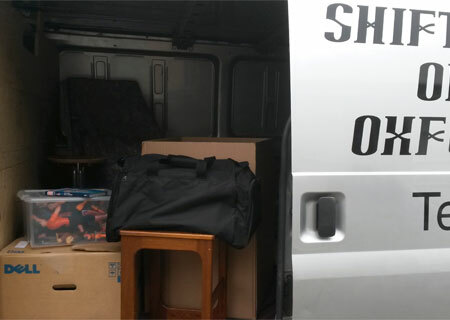 That is where the man with a van can help… I can collect and load up their belongings from the family home and transport them to their student accommodation, meet you there and even help move it to where it needs to go. Imagine that… no family car filled to bursting point and repeated trips backwards and forwards across the country to get it all there… wouldn’t that be nice? You are probably going to end up doing this at least twice a year for three years (or more, depending on what they are studying). All items safely transported and whilst that is being carried out, It is all insured up to a value of £10,000 goods in transit and £1million public liability. I am based in Abingdon nr. Oxford so just down the road from the many Oxford Universities and can be the perfect solution for getting your son or daughter to their student digs in the city from anywhere in Great Britain. But I do not just move students to Oxford, I can move their belongings to anywhere in Great Britain to any other universities. 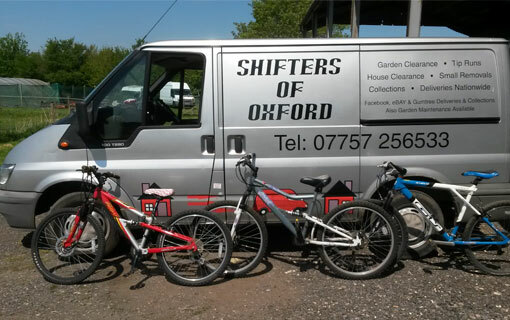 I can assist with your move, and transport your belongings to and from small properties, often quicker and more conveniently than larger dedicated removal companies. This is great for short term rentals. 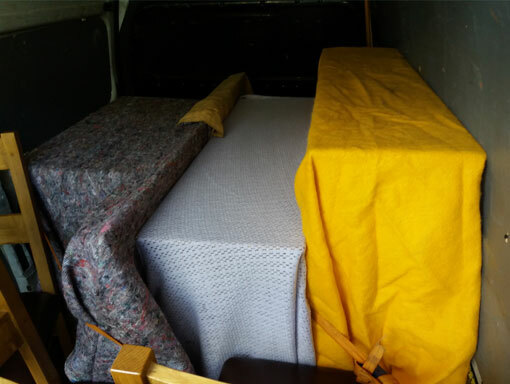 When moving, all your furniture, appliances and personal belongings will be well cared for and wrapped accordingly, with bubble wrap and or transport blankets, so to enable a safe delivery. All moves are insured and will be covered up to a value of £10,000 Goods in Transit Insurance and £1million Public Liability Insurance. Elderly family member moving into a care home? I can assist in the moving of an elderly relatives large and small belongings into their new accommodation. When moving, all belongings will be well cared for and wrapped accordingly, with bubble wrap and or transport blankets, so to enable a safe delivery. All moves are insured and will be covered up to a value of £10,000 Goods in Transit Insurance and £1million Public Liability Insurance. Are you moving and need your belongings transferred to a storage facility? I can deliver to or collect from a storage unit for you. All you need to do is to arrange for the storage and I can arrange the transport. 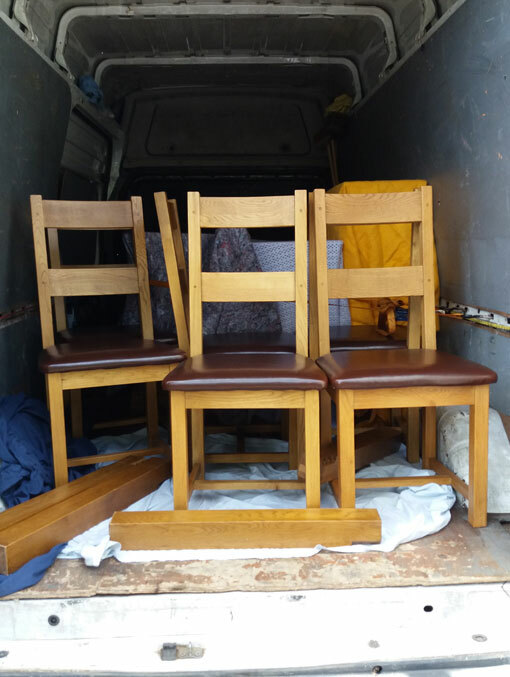 We are always very careful with your items during removals, making sure they get to their destination in the same condition as we collected them. We have blankets, straps and packing materials to ensure this. Removals with the Man with a Van.